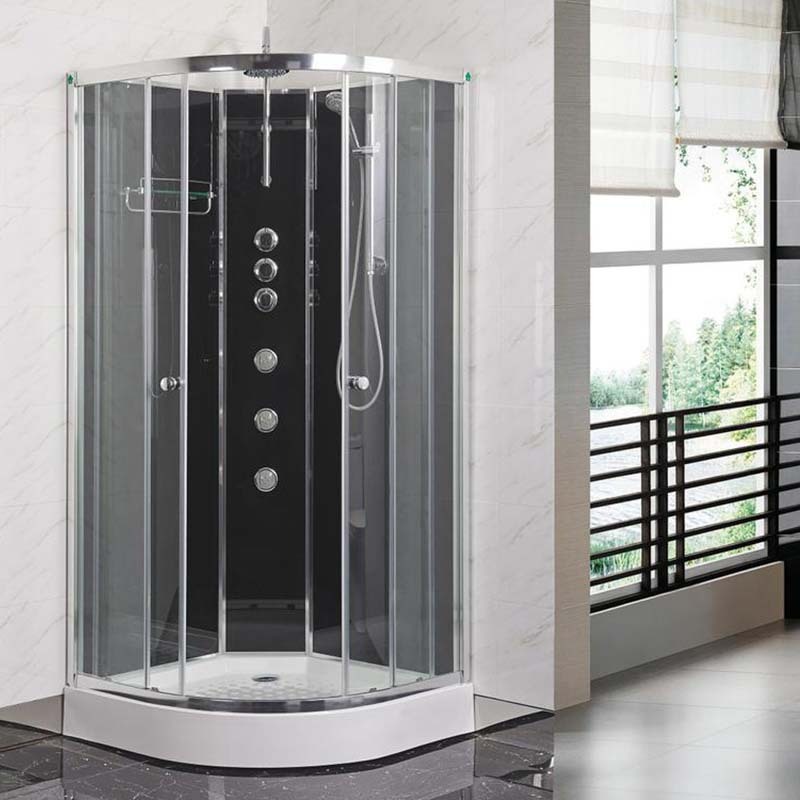 Revitalise the look of your bathroom with this stunning, modern-day Opus Quadrant shower cabin. In a luxurious curved shape, this shower cabin fits picture-perfectly into any corner of your bathroom. Its contemporary design provides an invigorating look for your bathroom with its curved shape and carbon black finish. Made from the finest Aluminium and Glass we can guarantee you a long-lasting and robust product that will maintain the highest level of quality. Fit with two doors, this striking addition to your bathroom will be both practical and highly leading edge. With a width of 900mm we can assure you a bathroom that feels luxurious and desirable.